Denise has more than 31 years of experience in policing, 25 of which have been in supervisory, managerial, and leadership capacities. Denise retired at the rank of Chief from the King County Sheriff’s Office in Seattle, Washington, following a career that spanned almost 23 years. Denise, who was one of four chiefs, reported directly to the elected Sheriff and was assigned to the Technical Services Division which managed Budget and Accounting, Information Technology, Human Resources, the Regional Automated Fingerprint Identification System, Communications 9-1-1 System, Administrative Services, and the Auxiliary Services Section. Denise oversaw recruiting, hiring, labor relations with five bargaining units, training, discipline, and the budget and personnel management. During her tenure at King County, Denise served for four years as the Chief of Police to the contract city of Shoreline, Washington. Denise served in all the department’s divisions and at all ranks, beginning as a Reserve Police Officer in 1981. Denise managed several regional and statewide technology projects in information sharing. She served as the Chair of the King County Police Chiefs Association and was active in the Washington State Sheriffs and Police Chiefs Association. Upon retirement from King County, Denise accepted a position as the Chief of Police for the city of Gilroy, California where she served nine years. During her tenure, Denise established policy and implemented several highly successful community strategies to combat gang crimes, homelessness, and quality of life concerns. Denise hired and promoted over 30 people in the department. She oversaw two major undercover operations that lasted 18 months and netted the capture of over 150 criminals and disabled a local gang. She has worked closely with local, county, state, and federal partners to implement interoperability and information sharing tools in Santa Clara County (Silicon Valley). She has served on several boards and a Joint Powers Authority (JPA) group as a chairperson, and has led many initiatives to improve the policing profession and police-community relations. 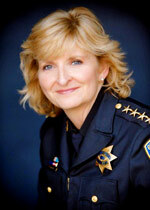 She also served as the chairperson for the Santa Clara County Police Chief’s Association. Denise worked with the Santa Clara County Chiefs and Sheriff on many protocols and to start a regional Crime Strategies Unit to support all county-wide task forces and local departments. She served as the representative on the Urban Areas Security Initiative (UASI) and State Homeland Security Grant Program (SHSGP) grant approval boards representing law enforcement in the county. She also oversaw the completion of the county’s first regional interoperable P25 digital radio system. Denise has been a long-term, active member of the International Association of Chiefs of Police, the Police Executive Research Forum, and the State Associations in Washington and California. She served as a loaned-executive Research Fellow for the Police Executive Research Forum in Washington, D.C. She is active in the FBI National Academy Associations and has served as the President of the Washington Chapter. Over the past 20 years Denise has facilitated work groups, led many community policing projects, and worked closely with consultants on conducting staffing studies and convening strategic planning sessions. Denise earned a bachelor’s degree in law enforcement administration and a master’s degree in public administration, both from City University. She is also a graduate of the FBI National Academy and the Command College of Washington State. Denise is certified at the Leadership/Executive levels in Washington State and California Peace Officer Standards Training (POST).